When traced to its Greek roots, the term “diaspora” means to scatter about, to disperse. 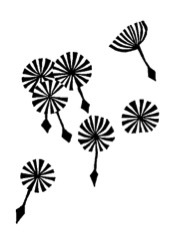 Imagine dandelion seeds on the wind: this image is often used to introduce students to the concept of diaspora. Indeed, dandelion seeds are a common symbol for departments, journals (including Canadian Literature), book series, and conferences that specialize in or incorporate diaspora studies. Analyzing the image of dandelion seeds on the wind is a good way to begin thinking about the complexities and nuances that inform readings of diasporic literature. To begin, diaspora involves the dispersal of peoples away from their traditional homelands. While dandelion seeds are scattered by the wind or other disturbances, say children picking the stems and blowing the fluff off, it is not always clear why people move away from their home and transverse the world. What forces compel individuals, families, and eventually whole communities to leave one country for another? While some diasporas are forced, such as the Old Testament expulsion of the Jews from Judea, and the Trans-Atlantic slave trade, others result from a people’s choice to leave one place and live in another. An example is the mass migration of Afro- and Indo-Caribbean people to the United Kingdom following legal changes to the British Nationality Act (V. S. Naipaul, Samuel Selvon, C. L. R. James, and Stuart Hall, some of the most well-known Caribbean authors and theorists, were part of this migration). Importantly, all diasporas negotiate agency and coercion, and all are entangled in pre-existing colonial, racial, and economic systems. The dandelion seed metaphor challenges literary scholars to think about how diasporic communities are received by the nations they land in. Dandelions are, after all, considered weeds. Many diasporic subjects are never fully welcomed and never fully at home in a new country. For example, despite changes to their legal status, many of the first Jamaicans, Trinidadians, Barbadians, and other Caribbean subjects who settled in Britain after World War II (those known as the “Windrush Generation”) were not welcomed as British citizens. The hostility they faced was particularly disturbing given that many of the Caribbean men who moved to England had voluntarily joined the British army and defended Western powers during the First and Second World Wars (Dionne Brand’s At the Full and Change of the Moon and Andrea Levy’s Small Island both offer literary accounts of Caribbean servicemen’s rejection by British society). Contemporary diasporas continue to be met with a mixture of sympathy, aid, resentment, and hostility. The mass migration of Middle Eastern and African citizens currently trying to cross the Mediterranean and relocate to Europe is a case in point. The anxieties host countries can feel about the presence and influence of immigrants, and the effects of these anxieties on the immigrants themselves, reveal that the image of dandelion seeds is potentially misleading: as a metaphor, it fails to capture how diasporic cultures shift and change over time and once they land in new geopolitical sites. Imagine instead if dandelion seeds could grow into any number of different flowers once they landed: some would stay dandelions, while others would become daisies, thistles, roses, or violets. It is important to remember that diasporic communities do not inherently reproduce their original culture. Indeed, the violence and oppression that can spur global migrations can also foster diasporas that are deeply critical of their homeland’s political, religious, or cultural practices. In his book The Diasporic Imaginary and the Indian Diaspora, Vijay Mishra reminds scholars that diasporic communities are neither inherently anti-national social formations nor inherently nationalist: they are complex and often internally divided communities, thus poor candidates for generalizations or simplistic scholarship. Consider Caribbean Canadian author Dionne Brand: she is a diasporic, queer, feminist writer. Her work can be deeply critical of traditional nation-states like Canada and Trinidad. Not all members of the Trinidadian Canadian diaspora share her values or her politics. 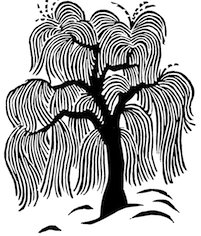 Such complexities are precisely why scholars study diasporic communities and their literature: diasporas demonstrate both the power and the limits of ethnic, national, and racial identities and show how such identities can be both fluid and rigid in a world where people have always left their homelands and lived amid other nations, communities, and cultures. 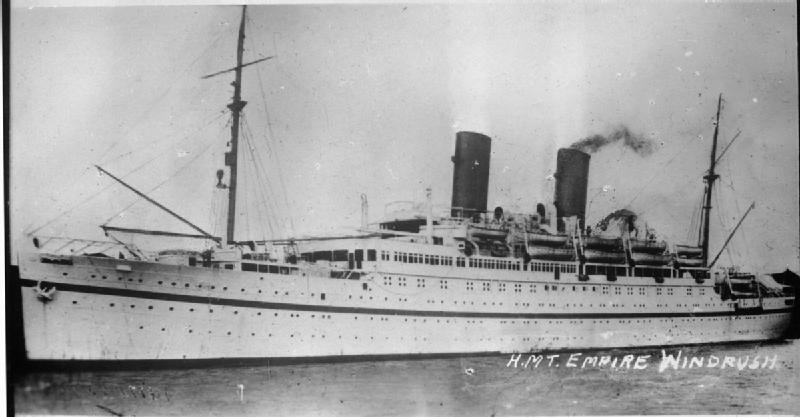 The MV Empire Windrush carried Caribbean immigrants to the United Kingdom in 1948. Photograph by Royal Navy official photographer [Public domain]. Via Wikimedia Commons. Think of your own history: has your family travelled from its geographical origins? Why did they land in Canada (or wherever you are reading from)? What stories are told about these migrations and relocations? Think about the communities—Vietnamese, Africadian, Syrian, Sikh, for example—that may be considered diasporic in Canada. While some diasporic communities are celebrated for preserving their pre-migration culture, others are criticized. Which elements (e.g. food, dress, religion, language) of these differing diasporic cultures are embraced in Canada? Which are met with more wariness or hostility? When a community of white subjects live and work in a predominantly non-white nation-state, they are often referred to as “ex-pats,” shorthand for “expatriates.” When racialized communities live in a predominantly white nation, they are often called diasporas or migrants. What do you make of this differing terminology? Can white subjects be diasporic? Can racialized subjects be expatriates? Why or why not? Brand, Dionne. At the Full and Change of the Moon. Toronto: 1999. Print. Mishra, Vijay. The Diasporic Imaginary and the Indian Diaspora. Wellington: 2005. Print.